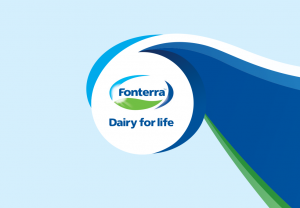 Fonterra has announced a 65% increase in net profit after tax to $834 million for the financial year ended 31 July 2016 despite ongoing challenges in global dairy markets. Chairman John Wilson described the 2015/16 season as “incredibly difficult for farmers, their families and rural communities”, with global dairy prices at unsustainable levels. “Our Co-operative has responded. We continued with the significant and necessary changes we began in the business over three years ago to support our strategy and its priorities, and worked hard to return every possible cent of value back to our farmers,” he said. Mr Wilson said the co-operative has managed to increase the return on capital and to strengthen its balance sheet through increased earnings and continuing financial discipline. “We have done what we can to support our farmers with the Co-operative Support Loan, and early payment of dividends,” Mr Wilson added. Chief Executive Theo Spierings said more volumes of milk sold at higher value formed the core of Fonterra’s strategy. “For our farmers, the promise is that we will make the most of their milk. We’re keeping that promise,” he said. He said the consumer and foodservice businesses converted an additional 380 million litres of liquid milk equivalents (LME) into higher returning products, bringing its total volumes up from 4.5 billion LME to 4.9 billion. “Increasing our consumer and foodservice volumes, and especially our foodservice growth, meant we increased our normalised EBIT in this business by 42 per cent to $580 million,” Mr Spierings added.